This was a sponsored post. I was Plutonium Paint’s brand ambassador and I am compensated for my work. All opinions in this post are 100% my own. 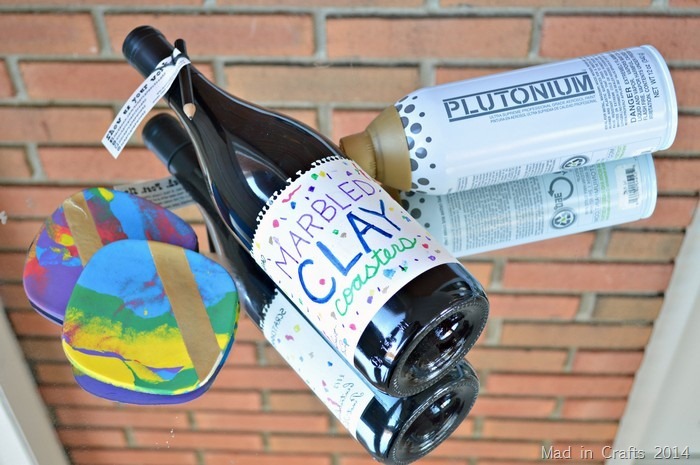 I am really excited to be part of a fun collaboration with Plutonium Paint and Scratchpad Cellars. They sent cans of paint and two bottles of wine to a few artists and asked us to come up with a creative project. 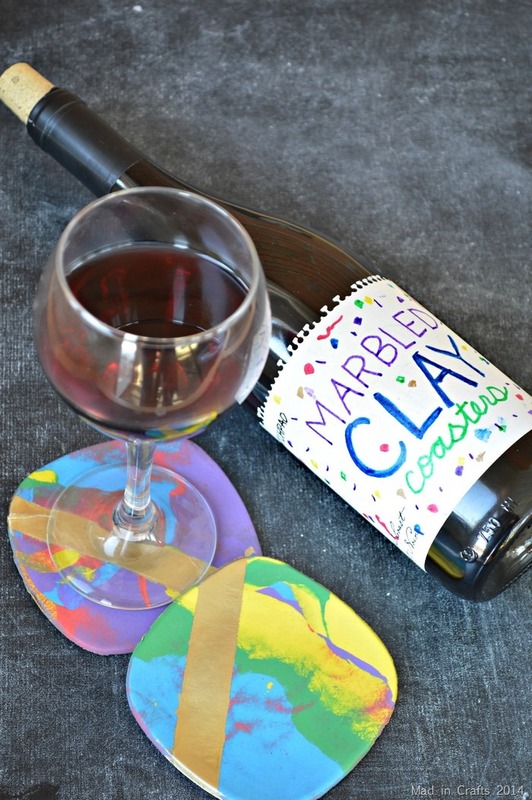 I used my spray paint and some colorful air dry clay to make eye catching coasters for my glass of Pinot Noir. Scratchpad Cellars wines have unique blank labels that encourage you to use your creativity right there on the bottle! Each bottle comes with a sketching pencil so you can doodle away while you sip their delicious wine. Then take a photo of your masterpiece and use the hashtag #scratchpadcellars on social media! If you have ever played with playdough, you have the skills necessary to make a set of colorful marbled coasters. Check out the video below to see how I did it. If you like this tutorial, subscribe to my YouTube channel so you don’t miss any crazy good creativity. Oh my gosh these are cool! 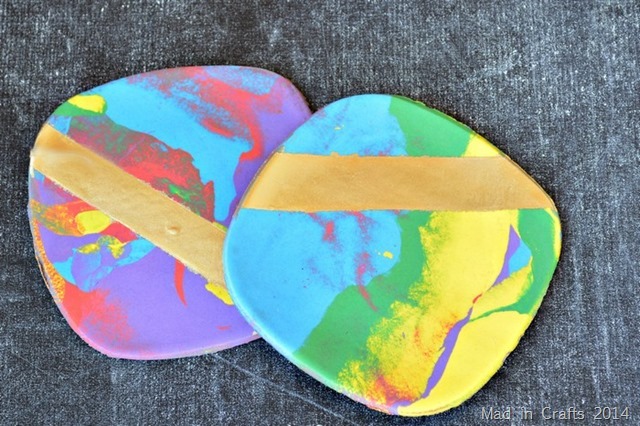 I want to make more stuff with clay and I love the idea of adding the spray paint. That gold is gorgeous! Love them! So colorful and fun, and each one is so unique! I love the marbled look. Checking out the video!